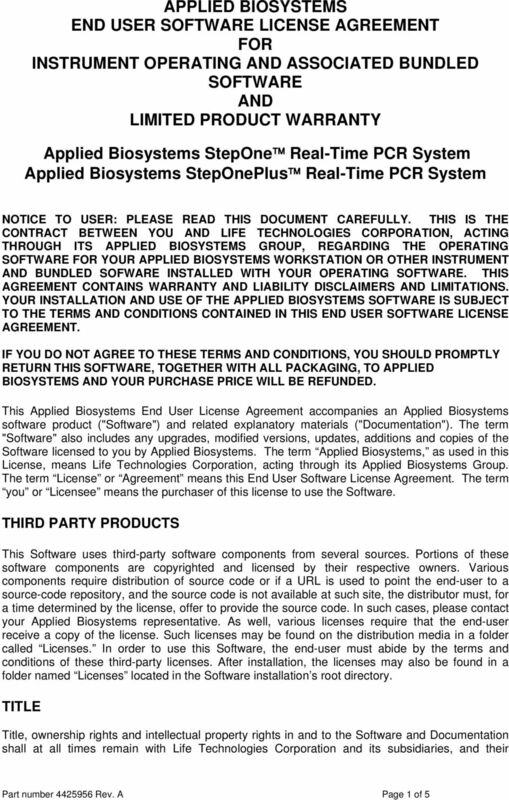 Download "APPLIED BIOSYSTEMS END USER SOFTWARE LICENSE AGREEMENT FOR INSTRUMENT OPERATING AND ASSOCIATED BUNDLED SOFTWARE AND LIMITED PRODUCT WARRANTY"
PRIOR TO USING THE INNOCAPTION SERVICE YOU MUST REVIEW AND AGREE TO THE TERMS AND CONDITIONS OF THIS SERVICE AGREEMENT ( AGREEMENT ) BY COMPLETING YOUR REGISTRATION ( SIGN UP ) FOR INNOCAPTION SERVICE. 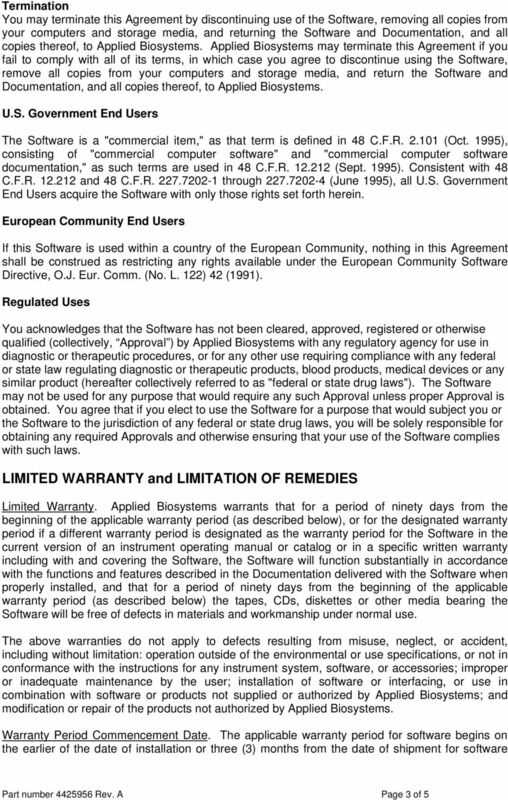 SOFTWARE LICENSE AGREEMENT NOTICE TO END USER: PLEASE READ THIS AGREEMENT WITH HUNTER SYSTEMS GROUP, INC. ( HUNTER ) CAREFULLY. 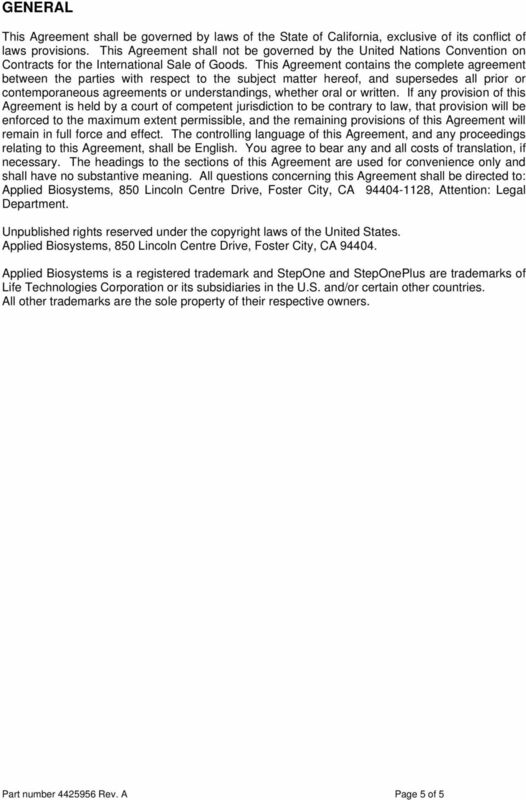 IF YOU DO NOT UNDERSTAND ANY PROVISIONS CONTAINED HEREIN, PLEASE SEEK ADVICE. 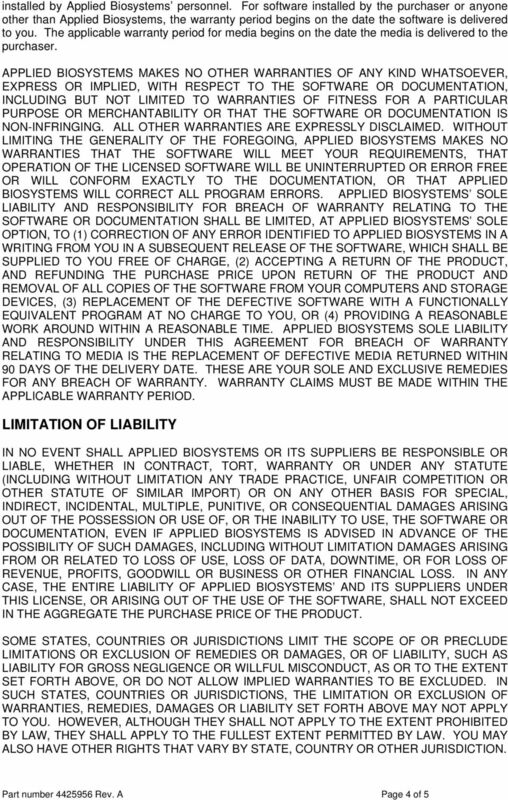 Software License and Support Terms IMPORTANT! 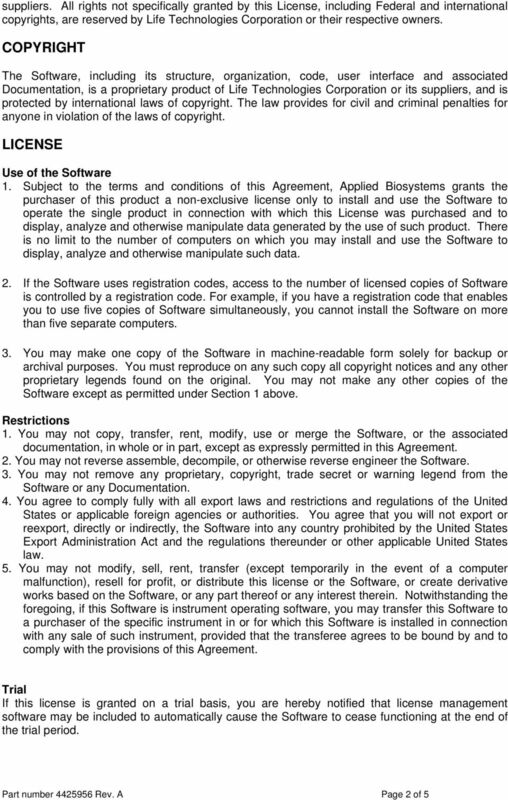 UPON DOWNLOADING OF THE SOFTWARE, USE OF THE SOFTWARE IS SUBJECT TO THE ComTrade SOFTWARE LICENSE AND SUPPORT TERMS AND CONDITIONS ( TERMS ) SET FORTH BELOW.